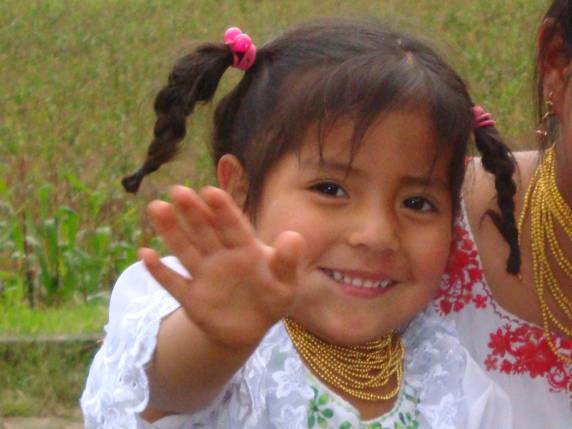 There are many communities around Guaranda that do not have any Gospel witness. One community has only one evangelical believer. 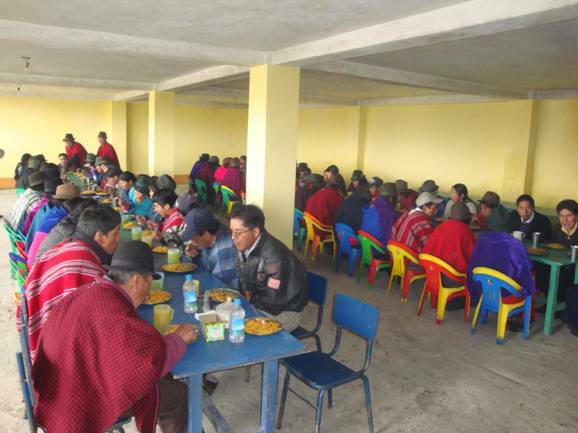 Abide in Christ is working with pastors in Bolivar Province to prepare witnesses in Guaranda to reach surrounding towns and mountain villages. "Sanctify Christ as Lord in your hearts, always being ready to make a defense to everyone who asks you to give an account for the hope that is in you, yet with gentleness and reverence" (1 Peter 3:15). Surprise! Surprise! As we left for a rural mountain location Alejandro said, "Alberto called and said to tell you that you are to preach the sermon for a Quichua wedding this morning at the Land of Canaan Evangelical Church." Surprise! Surprise! My mind was centered on evangelism conference and messages on key word doctrinal studies for the next two weeks of ministry. I quietly prayed for the Lord's guidance. My first thoughts turned to John chapter two with Jesus at the wedding in Cana of Galilee. I preached the message on Jesus' blessing on the couple and His silent ministry behind the scenes. We look forward to the marriage supper of the Lamb. Pastor Alberto Copa performed the ceremony after my message. I preached on the doctrine of the Holy Spirit at the evening service in Riobamba at the Genesis Evangelical Church. 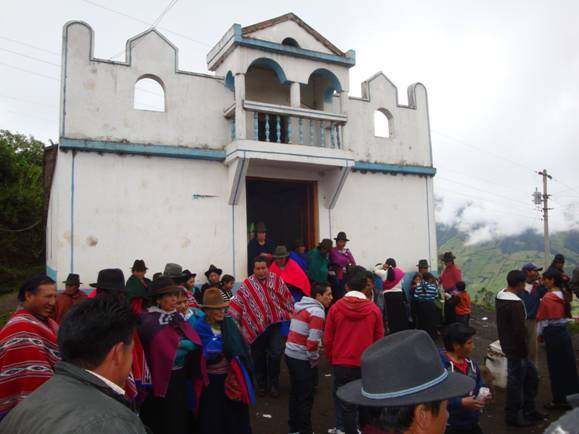 The Colta area was founded in the early 1500's when the Spanish conquistadores arrived in Ecuador. We held evangelism workshops in evangelical churches in the town of Armenia and Colta Monjas. 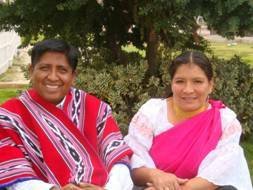 Pedro Fernandez, a professor at Peniel Theological Seminary, is the pastor of these churches. Wil spent three days introducing the personal evangelism studies. 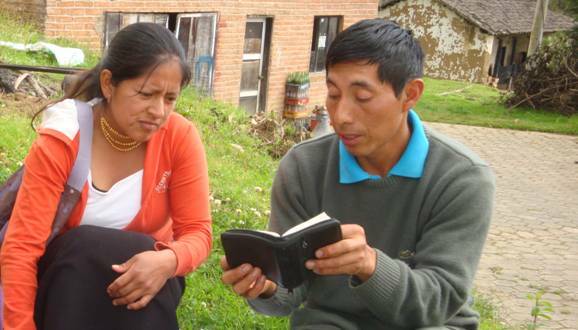 Pastor Fernandez will continue to teach our materials to leaders in these churches. Church leaders at Armenia studied personal evangelism with Wil Pounds. 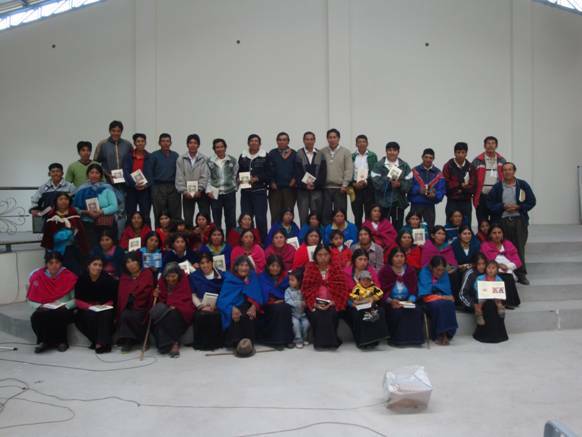 Leaders at Colta Monjas evangelism training in Chimborazo Province. Plans are being made for more workshops. 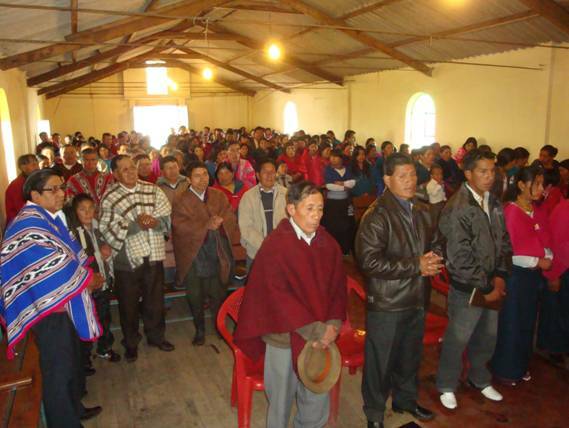 We moved on to Guaranda in Bolivar Province and held another three day conference. This is a location where Peniel seminary will begin a new seminary extension program. Our workshops draw participants from all walks of life and levels of education from small farmers to highly educated professionals. Systems engineers in banks, medical doctors, lawyers, university students, educators are willing to take the lead in our small group learning activities. 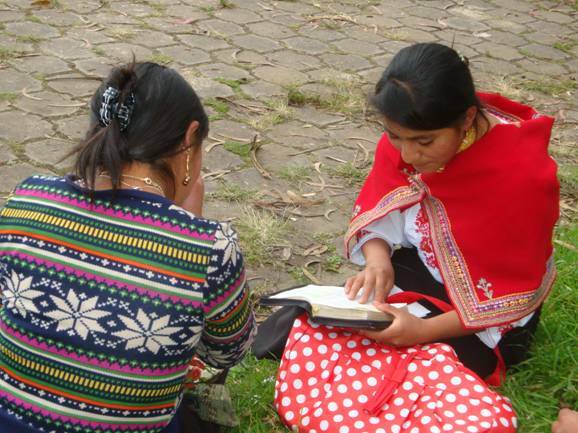 Third year electrical engineer student in the university in Riobamba is practicing personal evangelism with her sister, a chemical engineering student. Wil also spent three hours in question and answer forum with church leaders at the Pucolpala Alto church. The second week was spent teaching evangelism and Bible doctrine at Pucopala Centro. These were well attended and were a follow-up on previous conferences in the area. Church leaders at Guaranda preparing to reach out to neighboring communities with the Good News of Jesus Christ. 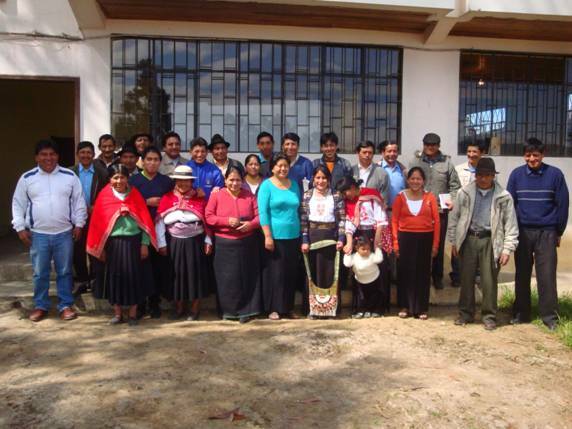 Pray for the Lord's provision of a building and library for Peniel Theological Seminary. Abide in Christ has provided funds for books and a temporary location. 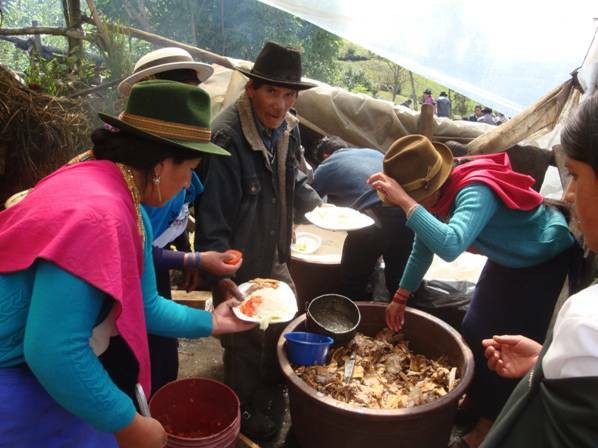 Quichua cooks preparing for conference. Where do you begin to reach the next generation of Quichuas? 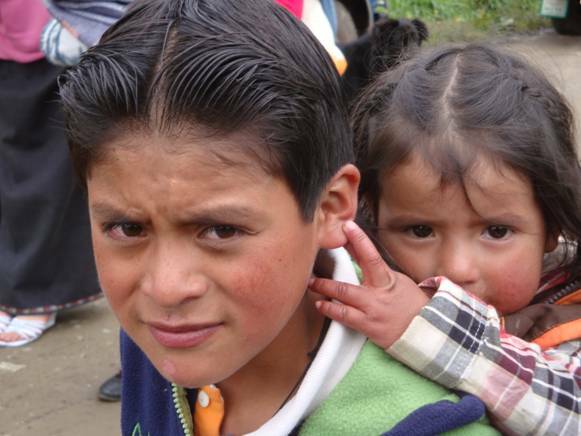 Quichua children in Chimborazo Province, Ecuador.